Two bedroom (sleeps 4 one double bed and 2 singles plus folding cot available) old world accommodation with fully equipped kitchen and barbecue facilities. Set in cottage gardens. Cosy open fire, gas and electric heaters for the colder weather. Comfortably furnished with antiques and everything you need for a getaway. All linen and towels supplied. Cooked breakfast provisions included. A short stroll to shops and restaurants and opposite a childrens playground. We are pet friendly. Non smoking. Charming and authentically furnished cottage which was just perfect for a sister's catch-up. The willow-pattern china took us straight back to childhood! We also appreciated the generosity of our hosts with the well-stocked fridge for Sunday breakfast, plus wine and chocolate to greet us. We enjoyed our breakfast outside with the king parrots and rosellas. Unfortunately the gardens need some attention and watering, and made the place look a bit neglected. Some cushions for the outside chairs would be welcome too, but overall a great place to stay. Was surprised to have to pay an extra person charge for an 8 week old baby. Cost automatically calculated by HomeAway system based on number of guests quoted when booked. Travel cot is supplied free of charge if requested. This was our third stay, and it never disappoints. It is like stepping back in time, but with all the essential mod cons. The owner left provisions for breakfast and a bottle of wine. These are unusually thoughtful touches. The location is great for walking to and from local dining and drinking spots. All of us agreed it was the best sleep we had during our five days of travel. Whisper quiet. We look forward to our next stay. What a beautiful little cottage, we stayed overnight for a wedding in town and this charming cottage far exceeded all expectations. My only wish is that we had booked an extra night to spend more time there. 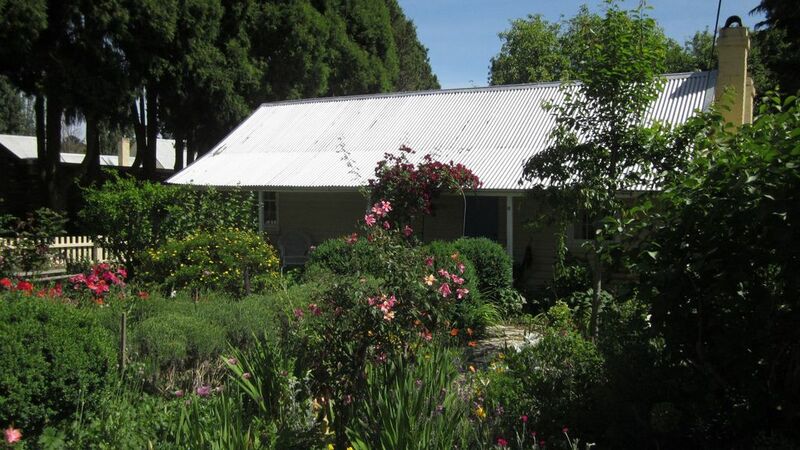 Jellore Cottage is in the heart of historic Berrima. We enjoyed imagining the many characters who'd spent time under the roof over the last 150 years. As well as being centrally located, it was thoughtfully appointed with food, cooking equipment, linen and a great collection of DVDs. The garden was lovely and we would have enjoyed lying in the deck chairs had we had more time. We could definitely have spent longer there. Great too to have somewhere where our puppy was welcome.